The USGS released a new report on January 9: Geochemical investigations on Akutan Island, July 2012, available for download from here. This report studied the hot springs on Akutan, and reports generally higher temperatures than previous reports, with an estimated heat output of 29 megawatts. The authors confirm the existence of a substantial geothermal resource on Akutan. 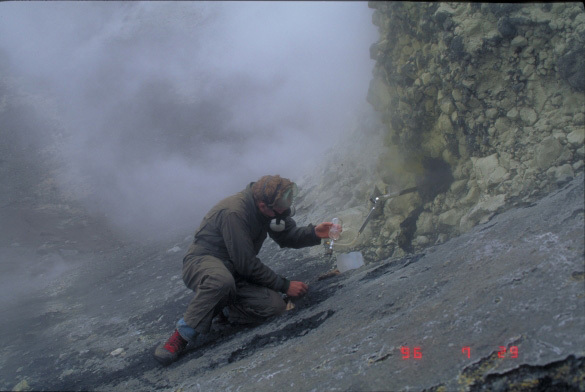 Suggested citation: Bergfeld, D., Lewicki, J.L., Evans, W.C., Hunt, A.G., Revesz, K., and Huebner, M., 2014, Geochemical investigation of the hydrothermal system on Akutan Island, Alaska, July 2012: U.S. Geological Survey Scientific Investigations Report 2013â€“5231, 20 p., http://dx.doi.org/10.3133/sir20135231.